The Office of the Chief Justice recently released a media statement on the shortlisted candidates to fill vacancies at the Electoral Commission. 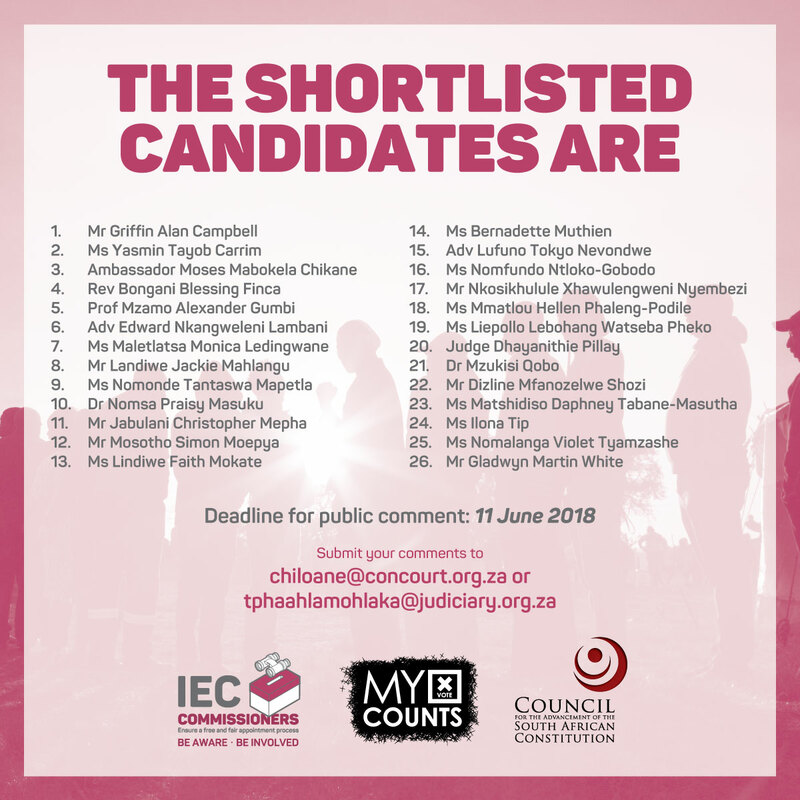 Twenty six (26) candidates were shortlisted after the 31 May 2018 closing date. or alternatively Tebogo Phaahlamohlaka at TPhaahlamohlaka@judiciary.org.za by 11 June 2018. Shortlisted candidates will be interviewed from 25-29 June 2018.